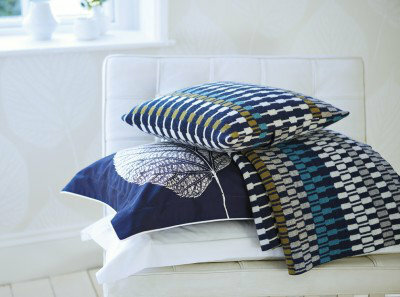 Created to compliment the Leaf Bedding collection from Harlequin and inspired by the Array wallpaper this stylish stripe cushion is very versatile. Shown here in aqua blue grey and white. Coordinating item available. 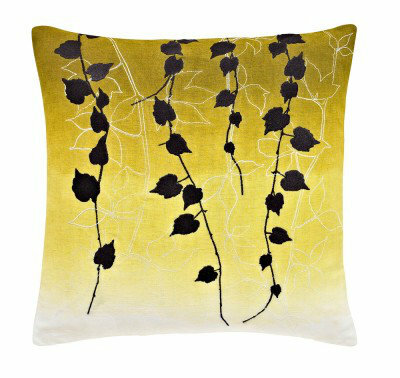 Ombre dip dyed cushion with embroidered leaf decoration in 2 colours. Front 65 linen 35 cotton. Reverse Plain 100 cotton 40cm x 40cms feather filled. Coordinates with the Boston Ivy bedding range. 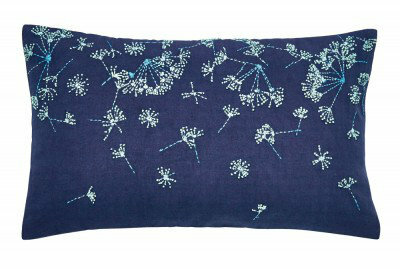 A navy cushion with an embroidered front using rice stitches and french knot technique with coloured ombre effect. 100 cotton 50cm x 30cm feather filled. Coordinates with the Clover Stripe bedding range. 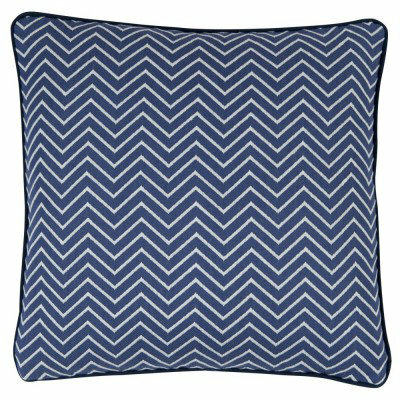 A lovely navy blue cushion featuring a small scale chevron design. 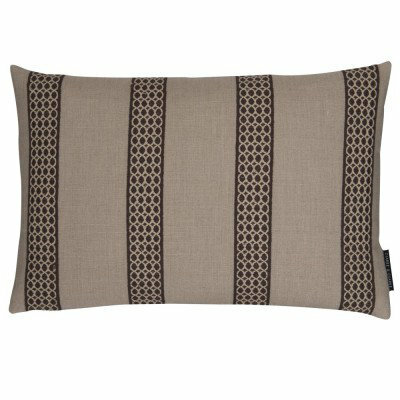 This item would compliment the Groove Denim cushion perfectly. Total cushion size 40x40cm. 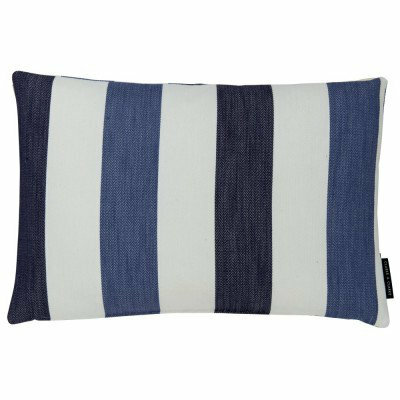 A lovely and refreshing two tone blue and white rectangular cushion. 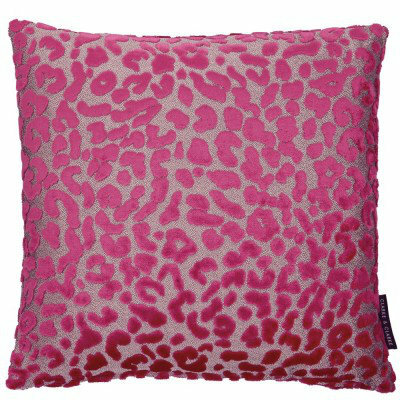 Total cushion size 60x40cm. 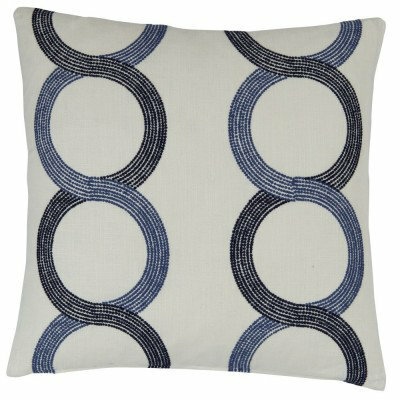 A cream coloured cushion with embroidered curved stripes in two tones of blue that form a circular pattern. This item would work very well alongside the Ferndale Denim cushion. Total cushion size 50x50cm. 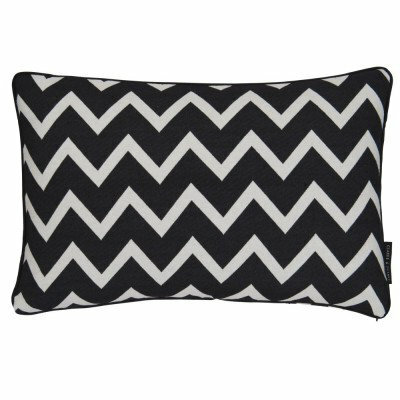 An eyecatching bold black and white large scale chevron cushion. Total cushion size 60x40cm. 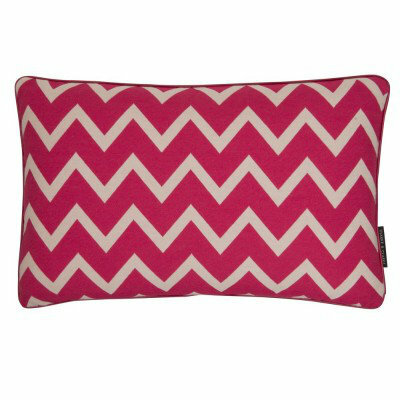 A bright and bold pink large scale chevron cushion. Total cushion size 60x40cm.